MegaChlor is a salt chlorine generator for swim spas and in-ground or above ground swimming pools up to 17,000 gallons. No plumbing or electrical contracting work is required for installation. Perfect for after-market installation. This self-contained purification system utilizes a natural process to generate pure chlorine. The electrolytic process uses a very low concentration of salt and generates free chlorine. The chlorine continuously kills bacteria and algae and then reverts back to salt. This indefinite cycle leaves the water feeling silky, soft, refreshing and sparkling clear. MegaChlor is easy to operate, install, is economical and fully automatic. No more purchasing, transportation or storage of chlorine. No more skin irritations and itchy red eyes. No more faded bathing suits. MegaChlor includes a built in programmable timer that adjusts chlorine output and LED indicator lights illuminate for easy salt level reference. The commercial grade titanium electrodes reverse polarity keeping the cell clean and preventing scale buildup. The clear salt cell housing allows for easy inspection of calcium buildup. The cell simply hangs over the side of the pool into the water and the pool doesn’t even have to be on when the MegaChlor is making chlorine. Requires a GFCI outlet that is within 15 feet of the pool and has a rain-tight protective cover. The titanium electrode is removable from the cell and can be installed inline with the pools equipment with appropriate pipe fittings. The standard MegaChlor can be upgraded with the patent pending chlorine detection control method from ControlOMatic. The only difference is the electrode and the MegaChlor control box already has the connections and software for the integrated chlorine sensor. If getting the CD version at the start, or replacing the standard electrode in the future the control box supports both. The chlorine production cycle will run based on the power level selected. After that time the MegaChlor CD will turn off and go into standby mode. Without the sensor the standby time is 3 hours, with the sensor standby mode will continue until the chlorine level drops to a low value. 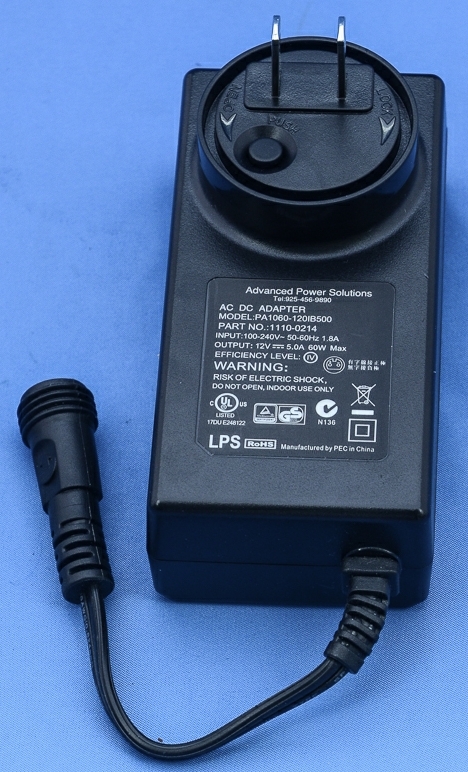 The low 12VDC switch-mode power supply provides smooth current to the cell controller which provides for a longer life span of the electrode. The low 3000 to 4000 PPM salt concentration is barely noticeable when in the water. It can be a challenge to keep your pool crystal clear and odor free. If you forget to add chlorine, or the chlorine feeder runs out and you don’t refill it that could lead to water quality problems. Even if the water looks good you should measure the chemical balance before use. Pool chlorine generators can greatly reduce problems and reduce maintenance as they continuously make chlorine every day so you don’t have to remember to add it. Chlorine Detection Electrode: Standby mode is 3 hours, and then the chlorine has to be low. After the three hours, if the chlorine isn't low enough standby mode will continue. The MegaChlor can make a lot of chlorine, up to 1/4 pound per day. With chlorine detection the chances of over-chlorination are a thing of the past!